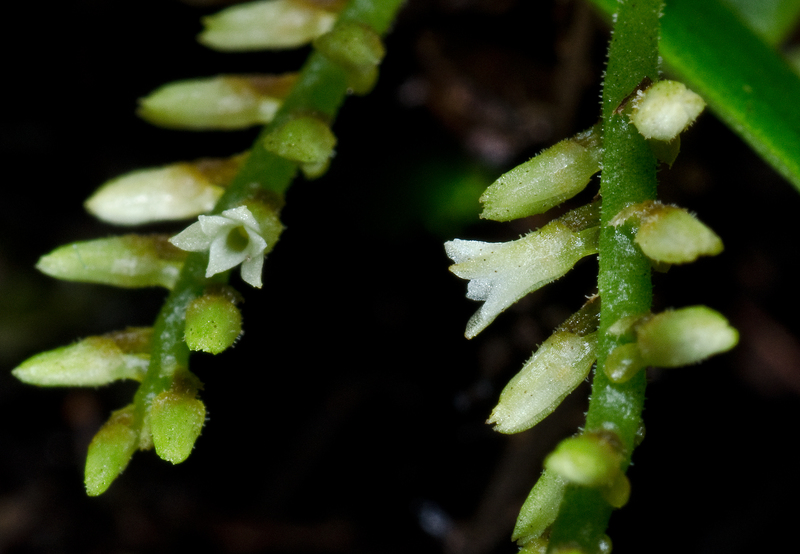 Campylocentrum brenesii – A tiny tiny species. 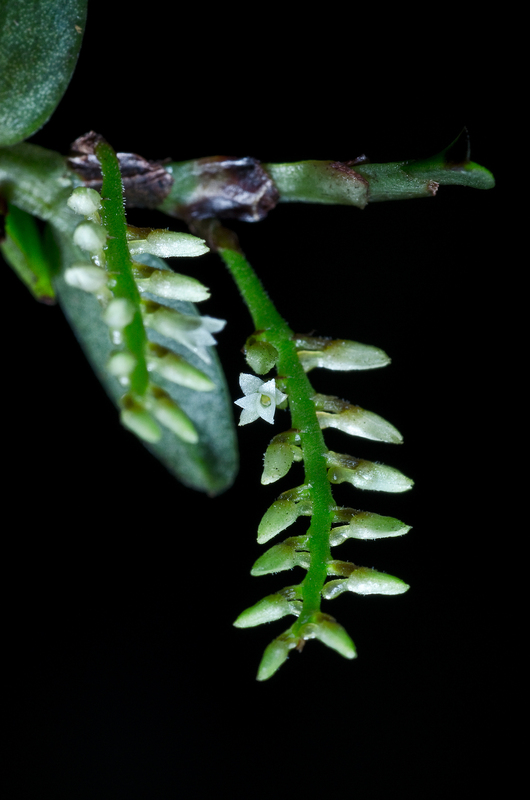 Grows in Panama, Costa Rica and Guatemala at 1000 – 2000 meters. 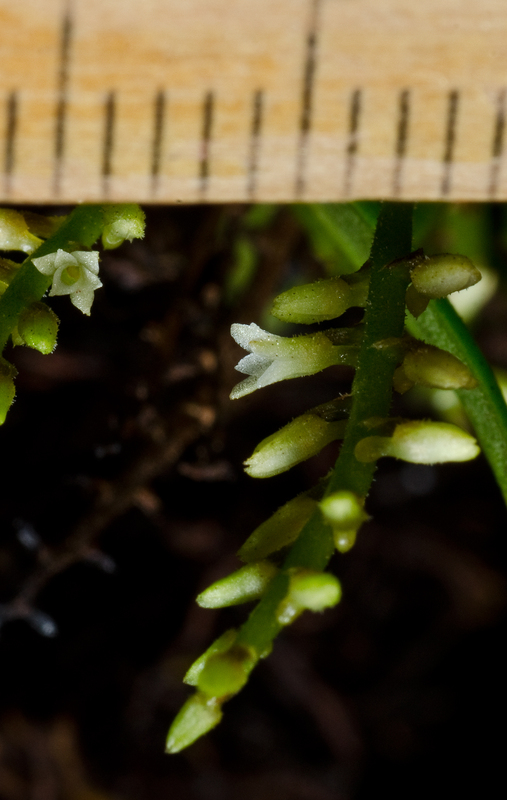 Tiny orchid that grows exposed as a epiphyte mainly on tree trunks in forests or around plantations or pastures. The plant is very small. 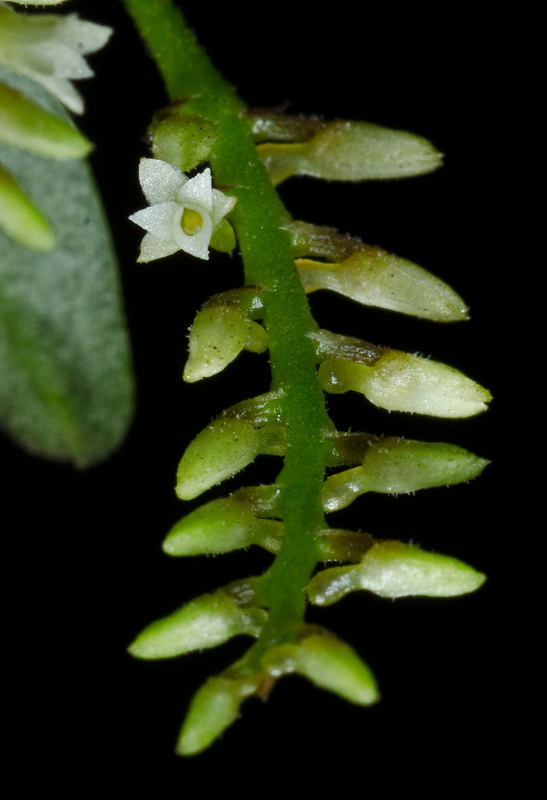 The flowers are just 2-3 mm long and 1,2-1,5 mm across. Leafs 10 mm. I find this species very hard to get to flower. But after some years now it flowered for the first time. It want´s a lot of light and dry periods. I grow it on a small piece of Xaxim. Min temp in winter +10°C to +12°C and Max temp in winter +19°C. It needs a lot of humidity but not be wet for longer periods. Campylocentrum brenesii. 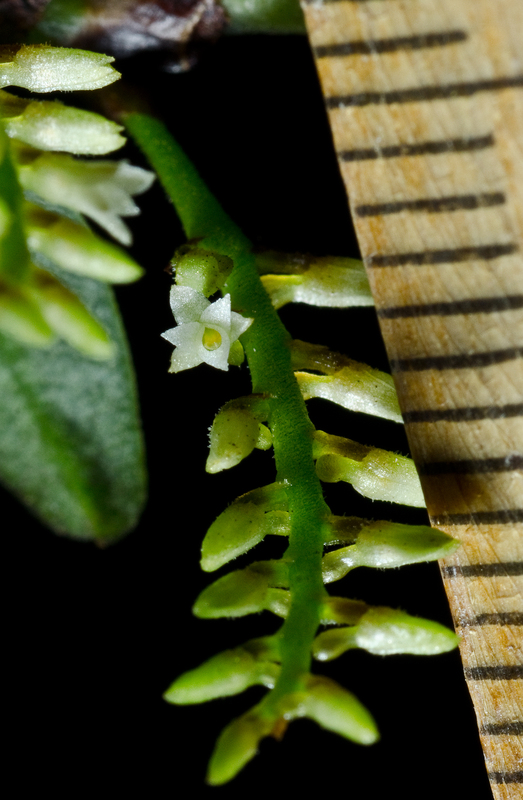 Flowers size compared to a ruler (Metric).